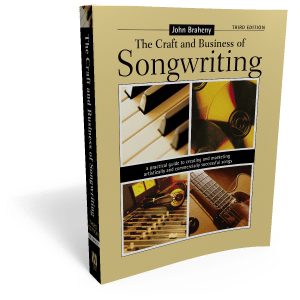 Another interesting piece of John Braheny history from the John Braheny Archives on the Craft and Business of Songwriting. 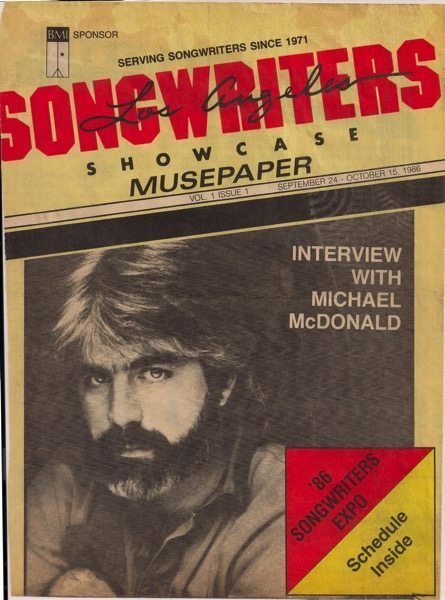 We have a large collection of Songwriters Musepapers and other publications from LASS, but I am not sure if I have every issue of the publication.That will take further cataloging before we know what we have an what are missing. In some cases, we actually have the original floppy disks and Pagemaker files from later editions. 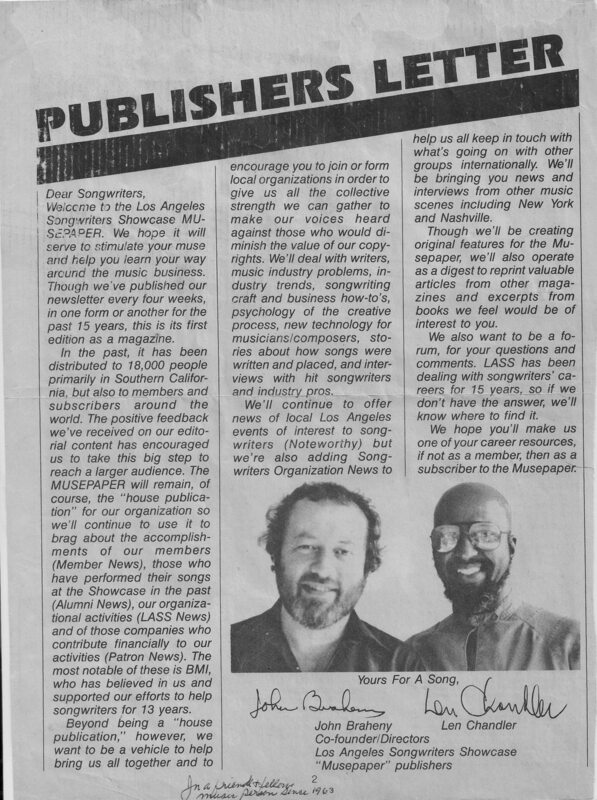 This means we can pull out text from interviews and stories and easily share them here on the site. I’ll be looking for an intern to catalog all of the publications we have and make note of the articles and photos included in each issue. I think this will add a significant amount of value to archive by adding to the items the can be searched electronically.